Over the last decade, thanks to dozens of research studies, there has been a significant growth in coaching initiatives nationwide, particularly for teachers. The trend has also included hiring site-based instructional coaches and training principals to grow in their coaching skills. Over the last five years, there has been a heavy emphasis on the principal as the key change agent in schools, which has been accompanied by numerous coaching initiatives for school leaders by district leaders. In our work across the U.S. and abroad, we’ve seen this to be true. It has been amazing to see the impact of effective coaching initiatives. Teachers are truly growing in their practice, and principals are more empowered to provide high-quality support to their teachers and lead their schools overall. However, with all the evidence that coaching is the one type of professional development that actually brings change in practice, it has been interesting to observe that it is not yet the norm among district leaders, such as superintendents and chief academic officers, to have worked with an executive coach. It’s understandable why this is the case. Because it is often perceived as a luxury, district leaders haven’t felt justified in spending dollars towards their own professional growth. However, if we believe that we all have room to grow, including those at the top of organizations, then it’s time for district leaders to take a second look at how coaching can increase their own effectiveness as leaders. It is often said that leadership is lonely. Often, there are few others with whom leaders feel they can let their guard down or from whom they can get honest and helpful feedback. Not only that, but the demands, especially on superintendents and other district-level leaders, have significantly increased in recent years. To be an effective agent of change today in districts requires leaders to have unique expertise in a wide variety of areas, including strategic planning, research and analysis, fiscal management, board and community engagement, implementation planning, communication and training, professional learning design and curriculum, and coaching. This is why leaders in the business community have relied on executive coaching for decades to increase productivity, increase organizational strength, reach goals, and provide clarity in their work. As one consultant from the Alliance for Strategic Leadership puts it, coaching provides “the opportunity for feedback and guidance in real time” and “develops leaders in the context of their current jobs, without removing them from their day-to-day responsibilities." 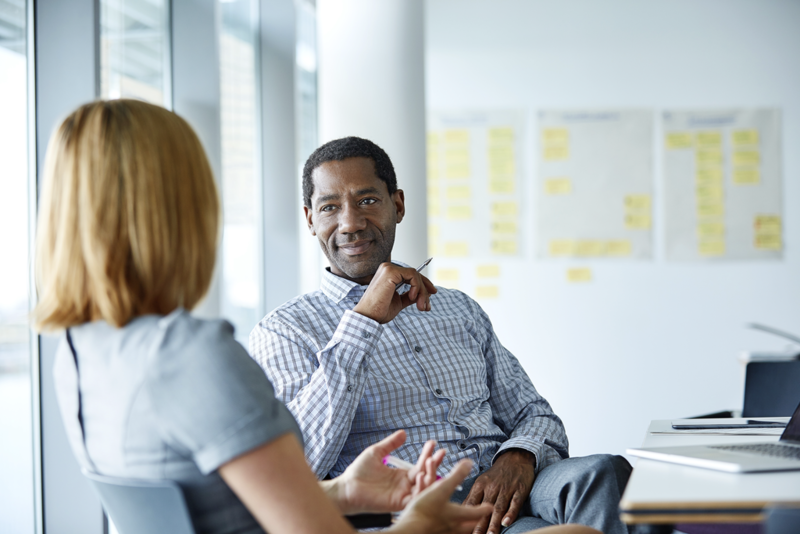 If you’re a district leader considering hiring an executive coach for yourself (and/or need to make a case to your manager or board), here are a handful of compelling ways that coaching can enhance your performance. An executive coach can be an incredible sounding board and thought partner for you. Leaders tell us regularly how helpful it is to get an outside perspective on a situation. As mentioned above, senior leaders are often in a lonely spot and need that listening ear on a specific situation they’re grappling with. Having that trusted advisor who has walked in your shoes can be a lifeline. Executive coaching can help you prioritize and align your major priorities. One of the major challenges I see regularly in district leaders is the struggle with the sheer number of priorities and commitments on their plates. A coach can help you evaluate what’s important and where you need to say “no.” Through reviewing your district’s strategic plan, scorecards used to track progress toward improvement goals and any competencies the district uses to evaluate success of its leaders, you and your coach can see a doable pathway to achieving the priorities you’re charged with meeting. An executive coach can provide you feedback on strategic planning and management, including ROI analyses on existing initiatives. In every coaching engagement with a leader, I begin with a look at the data. Taking time to analyze and reflect on what’s happened—often on just one or two initiatives—can help set a course for improvement moving forward. Together with a coach, you can uncover the true cost and impact of the initiatives you've launched, look for ways to reallocate (given the reality of limited resources), and create a plan to ensure that you're getting the best ROI going forward. An executive coach can provide you with outside perspective of your employees’ perception of you. Often, as leaders, we don’t really know how we are perceived and why some of our communications seem to be falling flat. An executive coach can observe you in meetings and interactions with those you manage. They can then provide an honest assessment of what’s working and what’s not. In a previous blog post on how district leaders can coach principals to better execute on priorities, I shared a helpful quote from Bolman and Deal’s Reframing Organizations: Artistry, Choice, and Leadership, that discusses the importance of getting multiple perspectives on a situation. Executive coaching can provide accountability and support that leads to great execution on key initiatives. Despite everyone’s best efforts, most school improvement initiatives in high-needs schools fail or show little improvement. The main reason for failure in strategic initiatives is the lack of execution. Unfortunately, good intentions are not enough when it comes to driving and sustaining growth—including when it comes to your coaching initiatives. Just as in athletics, a coach can help keep you accountable to your specific goals in leading change and provide you that extra, added support to bring them to completion. At the end of the day, everyone is looking for feedback—no matter what role they play in an organization. Coaching provides the differentiation, support, and accountability that can help leaders get to that next level and create a larger impact on their organization. If you’re not sure whether you need a coach, start small. Consider engaging with a coach for 90 days. This will give you a sense if he/she is a good fit for you and whether the time together adds value to your work. And of course, Insight is here to help. Our executive coaching is successful because we are authentic. We've been in the shoes of district- and state-level organizations and know how hard the work is. We provide solutions that inspire confidence and help move the work forward while facilitating reflective conversations that empower CAOs, regional/assistant superintendents, and superintendents to own their own improvement. Our “North Star” for every coaching interaction is to add value. Sometimes that comes in the form of a quick phone call for a reflective conversation, other times that means supporting the redesign of key initiatives in the district. Whatever forms our coaching takes, we work hard to add value to every situation. As we continue to reflect on our work in coaching district-level leaders, we look forward to hearing from you and your perspective on this important aspect of overall improvement for individuals and organizations alike. Jason Stricker is a co‐founder and CEO of Insight Education Group. With extensive experience in education as a teacher, instructional coach, chief academic officer, consultant, and business leader, he brings to his work a deep understanding of educator effectiveness and organizational change and its impact on stakeholders at all levels.